Star Wars has been a part of my life since I was ten years old and saw the original movie on the big screen on opening day. My brother had been talking about this movie for weeks, and I went along with him just for an adventure. Little did I know I would become a fan for life! I had enjoyed reading science fiction before the movie, but that experience was a game changer for me. I am a true fan. Naturally, my boys became Star Wars fans, too, and they the action figures, books, t-shirts, etc. to prove it. But, the sci-fi genre is an all around favorite in my house, anyway. 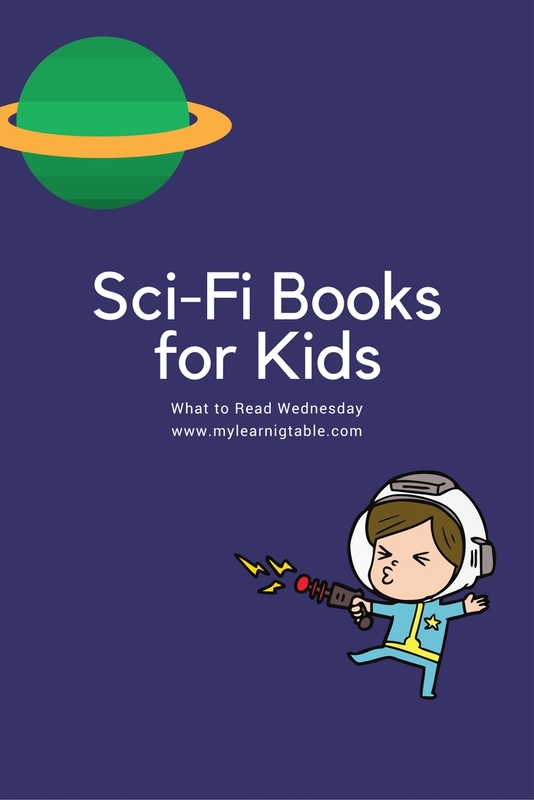 This week, we are sharing some of our all-time favorite sci-fi books for kids. You won’t be disappointed in any of these! If you have some thing good to add to our list, please share in the comments below. Grab a moon-pie and get reading! Download our Space Activity Pack here!